The nature coast is the last refuge for many plant & animal species. Once they’re gone, they’re gone for good. The area from Hudson in Pasco County, to the Homassassa River in the north, is home to threatened and endangered plants and animals. A small population of Florida black bear calls the coastal expanses home. 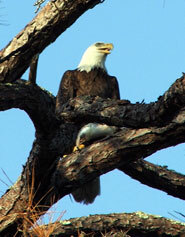 In addition to bears, the West Indian manatee, bald eagle, Florida sand hill crane, red cockaded woodpecker, least tern, gopher tortoise, and Florida panther are among the threatened or endangered species that call the Nature Coast home. Outdoor recreation opportunities allow citizens to learn about human relationships with nature. 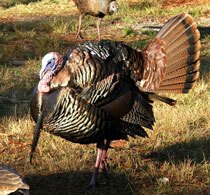 Wild turkeys are a common sight throughout the Nature Coast. 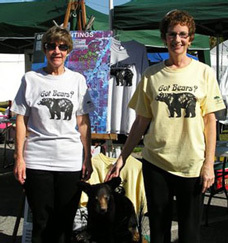 Gulf Coast Conservancy members inform the public about Florida black bears, and show them where bears live. Public support will be critical to preserving key habitats for this imperiled population. The Gulf Coast Conservancy is a strong and vocal advocate for the creation of wildlife and greenway corridors. Large, contiguous preserved areas are essential to provide a viable habitat for "umbrella species" such as the Florida black bear, as well as support for a wide variety of native wildlife and vegetation. Cranes have long inspired the human imagination with their tall and elegant stature, longevity and complex mating and courtship behaviors. Florida sandhill cranes, numbering up to 5,000, are non-migratory Florida residents. They are joined every winter by 25,000 migratory sandhill cranes from the Great Lakes region. The Nature Coast provides the ideal habitat for these regal birds.